Whether you are looking for full-service household movers or a do-it-yourself solution, from homes to apartments Metcalf Moving & Storage can help. For any size move across the Twin Cities or Rochester, across the country, or around the world…we offer the residential moving services to fit your needs. We have trained professional movers who can help you every step of the way. From carefully packing your belongings and cautiously loading our trucks in the Minneapolis or Rochester areas, to setting up your furniture in your new home, we are here to assist you. Metcalf Moving & Storage is an agent for Mayflower Transit, the most recognized name in household moving services. We understand that moving can be one of the most stressful periods in a person’s life. After all, we have been moving families for over 90 years. 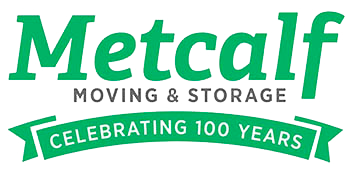 Metcalf Moving & Storage opened in 1919 as a local mover in Minneapolis & St. Paul, and is one of the most experienced professional local movers in the Twin Cities and Rochester areas. We handle all household moves, from a small apartment to a large estate, we have the staff, equipment, and experience to help. We’ll provide as much or as little manpower as you need to get the job done safely and efficiently. Whether you need help with packing, moving, or both, we are here to help. We can also provide storage when a direct move is not possible. Local moves are generally charged on an hourly basis or as a flat price. We are always happy to provide you with a free in-home estimate. We believe an in-home estimate is the best way to get an accurate idea of cost. It is best for our customer and for our crews – nobody wants unexpected surprises on move day! Our estimators will view the items to be moved, discuss any other services you may require, and provide you with a written cost estimate. When choosing a local moving company, be sure to check their credentials. Where is their office? How long have they been in business? You can check our certifications. Looking for a do-it-yourself option instead? Check out our SAM Containers for your local move in the Minneapolis and St. Paul area. Be sure to ask us about CityPointe, a free program through which you can get referrals to real estate agents and cash back on your local move with us. To further assist you with your move, find our moving checklist full of important tips and reminders to help keep you organized. As an agent for Mayflower Transit, Metcalf Moving & Storage can help you with your long distance home move to anywhere in the United States, and beyond. We have been moving families to and from Minnesota for almost a century. A personalized mobile website so you can keep your move organized from start to finish. Interstate (state to state) moves are usually charged based on the weight of your shipment, plus any additional services you request. The only way to know your true moving cost is to have an estimator visit your home or apartment. They will perform a full survey of the items to be moved, discuss any other services you may require, and provide you with a detailed written cost estimate. Internet quotes are too inaccurate. When choosing a long-distance mover, be sure to check their credentials. Do they have a local office? How long have they been in business? Are they licensed with the FMCSA to perform household goods move? Remember that no moving company should require a deposit to secure your move date. Be sure to ask us about CityPointe, a free program through which you can get referrals to real estate agents and cash back on your interstate move with us. Planning an international move? Metcalf Moving & Storage can help you through our affiliation with Unigroup Worldwide. Through Unigroup Worldwide, we offer over 1,400 international moving service centers in 146 countries, so no destination is too far away. International shipments are usually transported via cargo ships. Smaller or time-sensitive shipments may also travel via air. Our professional move consultants can help you determine the best way to move your things internationally. We can help you with everything from moving your belongings to help in getting acclimated to a new culture. Among other things, we provide certified international move managers, shipment tracking, and customs information. Contact us to learn more about our international moving services and for a free estimate. Remember that international moves can take several weeks to transport, so it is important to start planning early. We are a BBB accredited business and an AMSA ProMover and have been helping Minnesota companies and their employees since our start in 1919. Plus, as an agent for Mayflower Transit, we represent the largest household goods hauling fleet in the country. Our goal is to make the relocation process simpler for the employer and more enjoyable for the employee. Please contact us to learn more about our corporate relocation services. Metcalf Moving & Storage can assist you in the storage of your belongings, whether short-term or long-term. With our warehouses in St. Paul and Rochester, Minnesota, we can provide safe and secure storage. Plus, we can provide storage in nearly every other part of the country through our network of Mayflower agents. We can also arrange to pick up and deliver your things, either locally or long-distance. Contact us to find out more about our storage facilities and rates. For portable storage or a DIY option, consider our SAM Containers. We’ll deliver our convenient and easy to use containers to you, and you can load your belongings at your own pace. We can deliver the container to your new residence or can store it for you until you need it. If you prefer to leave the leave the tedius task of packing to us, we offer full packing and crating service for all types of moves. You may want us to pack everything for you. Or maybe you want to pack the soft items and books yourself and have us handle the rest. You can pack as much or as little as you are comfortable with. Our packers will use strong, recyclable boxes that hold all sorts of items and are designed to easily be loaded in a truck. We can also take care of any crating that may be required for unusual sizes or extraordinarily valuable pieces. Be sure to ask your relocation consultant about our packing options, and bring to their attention any items you are concerned about packing yourself. We sell a variety of moving boxes and supplies for do-it-yourself packing. For sale at our warehouse are cube boxes, mirror/picture boxes, wardrobe boxes, lamp boxes, TV boxes, bubble wrap, packing paper, and packing tape. Recycled boxes are also available for a reduced charge, subject to availability. Whether local or long-distance, Metcalf Moving & Storage is a small move specialist. Our small shipment program is ideal for estates, students moving to or from school, small apartment moves, or moves to retirement facilities. Contact us to find out how this program works and to get a quote! Or, for a local do-it-yourself option, try our SAM Containers.